We are a family owned and operated business with an experienced, passionate Pilot and dedicated crew. The Okanagan Valley is world renown for it’s beauty. The lakes and vineyards of Kelowna to the country farms of Armstrong, the views will amaze even the most experienced travelers. Flights run year round, come experience any of the season in all of their glory. We would be honored to be a part of your next adventure. Okanagan Ballooning is a family owned and operated business that has been flying out of the Okanagan Valley for nearly 20 years. We currently operates a six passenger, Cameron O-120 type balloon named Aurora. The balloon was named by Pilot John Klempner’s daughters as a part of a scheme to name the beautiful, colorful balloon after a Disney Princess. They got away with it by insisting she was being named after the northern lights. Your Pilot, John Klempner, has been involved with ballooning since 1994 and acquired his Transport Canada Pilot’s License in 1997. He has flown over 1500 flights. Our Standard Flights are approximately one hour depending on wind speeds and landing zones. Each flight includes a VQA Sparkling Wine celebration and flight certificate. Pilot carries binoculars and walkie talkie to talk to the crew members or non flying companions. Non-Flying Companions are $10 per person. At Okanagan Ballooning, safety is our number one concern. We reserve the right to cancel a flight due to adverse weather conditions or other safety reasons. We will reschedule or refund flights where necessary. Note – a $50 deposit per person is required. This deposit is non-refundable unless the flight is cancelled and can not be rescheduled, due to poor weather conditions. Our company is based in Kelowna but we can fly in Vernon for an extra fee of $75. 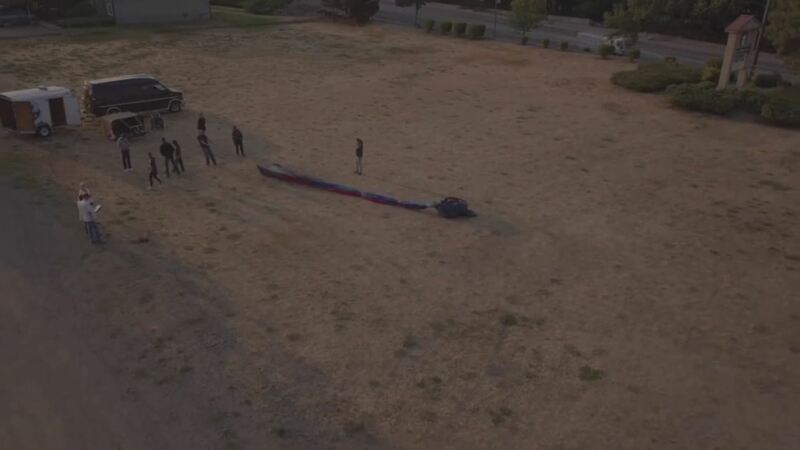 Your pilot will choose a landing site that is large enough to deflate and pack up the balloon. 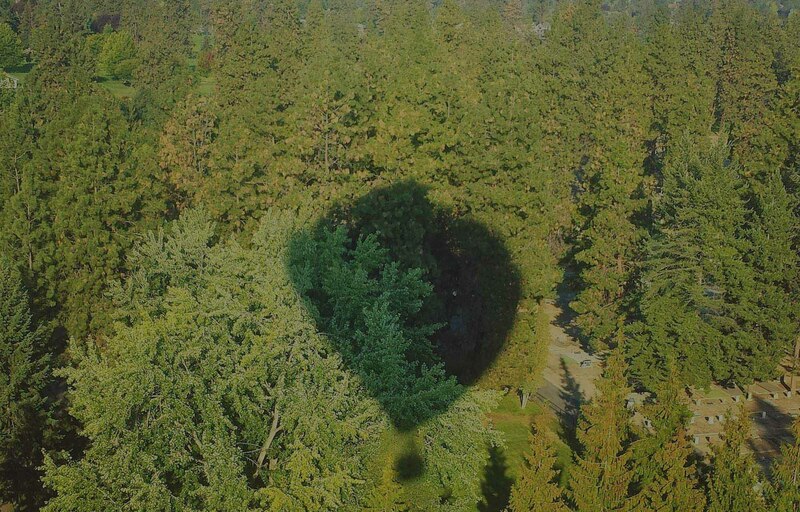 Most landowners are thrilled to see a beautiful balloon land on their property. The flights are 45 minues to 2 hours depending on the wind and weather. We have two balloons. Our big basket will comfortably hold up to six passengers, plus the pilot. The smaller balloon will carry two passengers and the pilot. We fly mainly in the morning shortly after sunrise; this is when the winds are the calmest. We rarely book flights in the afternoon as the cancellation rate is much higher. All flights are made wind and weather permitting. When the pilot calls the day before your flight, we will have the forecast for launch time. In the event of poor weather, we will reschedule with you for another day. Is it cold or windy in the balloon? No. The temperatures aloft are about the same as they are on the ground, minus the wind chill. Dress should be appropriate for the season. Please wear long pants and close toed shoes. Of course! A camera or a camcorder is a must for a balloon ride. We ask that you listen to the pilot’s instructions for stowing your equipment for landing. Would you like to have the Certificates mailed to you? Please supply the number of guests you would like to order a certificate for. We’re glad to answer any questions you may have concerning Hot Air Ballooning, The Okanagan or general inquiries about how you can join our crew.